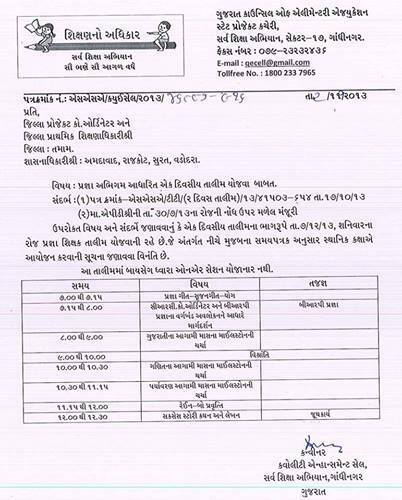 Gujarat Primary School Ma Standard 1 thi 4 Ma Chalta Pragna Abhigam Aadharit Ek Divasiy Talim Nu Aayojan Karvama Aavel Chhe. Talim Schedule Aa Sathe Samel Chhe. Aa Talim Ma Onair Seson Yojanar Nathi.